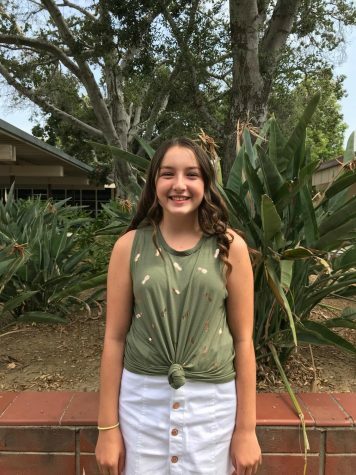 Makaylyn Eden is going to attend Brea Junior High as an eighth grader in the fall. She enjoys researching and writing about entertainment, sports, nature, and breaking news. Some of Makaylyn's hobbies include playing softball and soccer, and she plays for the PYL Pateadores Girls 2005 blue team. She also enjoys a good book and absolutely adores the beach. Her favorite quote is "I am strong because I know my weaknesses. I am beautiful because I am aware of my flaws. I am fearless because I have learned to separate illusion from reality. I am wise because I learn from my mistakes. I am a lover because I have felt hate and I can laugh because I have known sadness."